Second, I believe that it is as important to study specimens as it is to collect them. Collecting comes at the cost of a life. That can be justified only if the specimen subsequently adds considerably to our knowledge, and that means that we have to make sure to utilize our specimens in research. I consider that I am contributing to the museum community by using its resources. Third, I do not need to take specimens for my work. I measure my birds in the hand, then release them. I can do genetic work from the small sample of blood I take. There are things I cannot do – examine stomach contents, do transcriptomics – but those costs do not, for me, outweigh the benefit of keeping the bird alive. And finally, I am in this field because it inspires me. The experience of monitoring and interacting with the birds is constantly rewarding. I delight in the animals. If I had to collect them – if I had to kill them – I would not love this work, and I would not be as good at it. There are many reasons for researchers to collect. Much good work has come from collecting – including some conservation work that probably saved many more individuals than were originally killed. This is just my own personal cost-benefit analysis. I work in a museum, I do not collect, and I am happy with that. This entry was posted in my research and tagged museum, research, science, specimen by toughlittlebirds. Bookmark the permalink. Most non-scientists like me go to museums to look and learn, and never think about how many researchers might be in back rooms working with collections. Interesting to hear about this. I assume you need special permission to have access to the museum’s specimens? Yep. 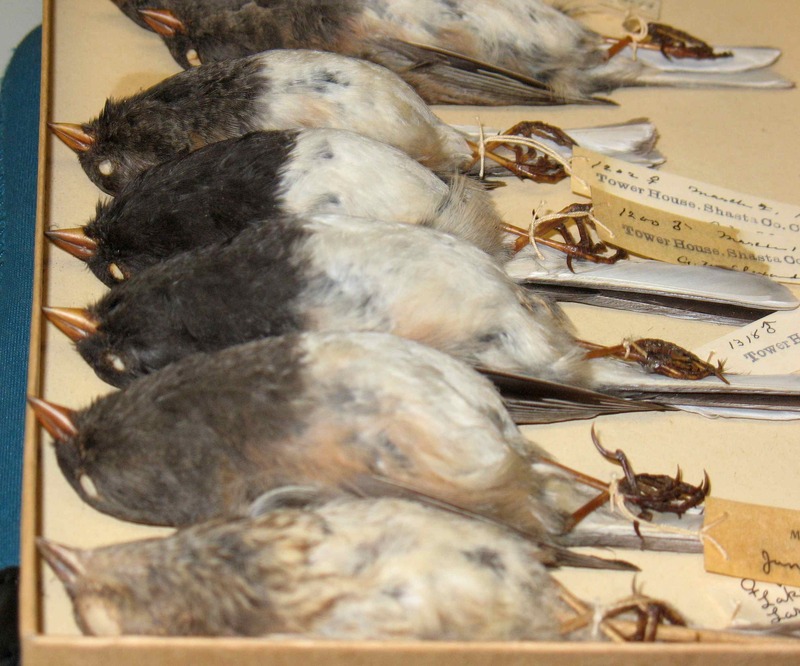 You need to have a good reason for using the collections, get permission from the curators, and agree to handle the specimens in appropriate ways. But people outside the museum definitely use our specimens, and not only academics from other museums; I know our specimens have been used by a local non-profit bird conservation group for their research, and have been photographed for an arty coffee table book. The hope with specimens is that many people can use them for many things, for a long time. I didn’t realize that collecting still went on…I thought it was something they did in Audobon’s day, but no more. So interesting. I felt the same when I first started in the field – it seems sort of old-fashioned, somehow. At least researchers are a bit more self-aware about it now, and careful not to collect specimens from populations too small to handle losing an individual. Really a fascinating perspective… Thanks so much for sharing. Very inspiring – if I could do your job, I’d be saying “ditto”.